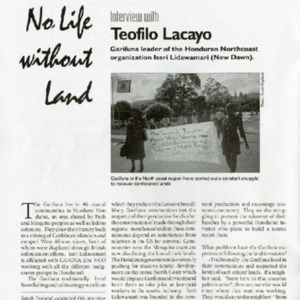 No, Life without Land Interview with Teofilo Lacayo Garifuna leader of the Honduran Northcoast organization Iseri Lidawamari (New Dawn). 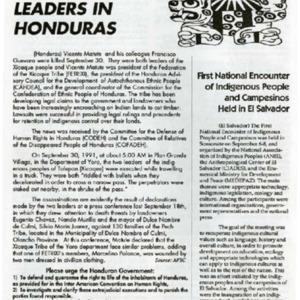 Indian leaders are attacked for speaking out against government encroachments onto their land. 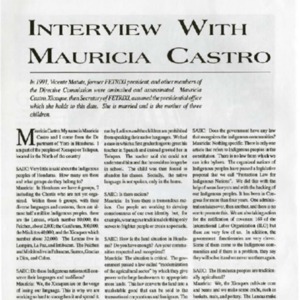 An interview between SAIIC and Mauricia Castro the president of FETRIXI about her involvement in the Federation of Xicaque Tribes of Yoro, the state of Honduras, and rights of her fellow country women.